Every time I wander around NoLita I happen across new graffiti; mind-blowing young new artists changing the urban landscape, which is part of what makes the streets of NYC so dynamic. But back in 2011 when I started conceptualising iHeartokyo, it was Curtis Kulig who was jiving me jitters. There wasn't a corner downtown that wasn't covered with his messages of LOVE. 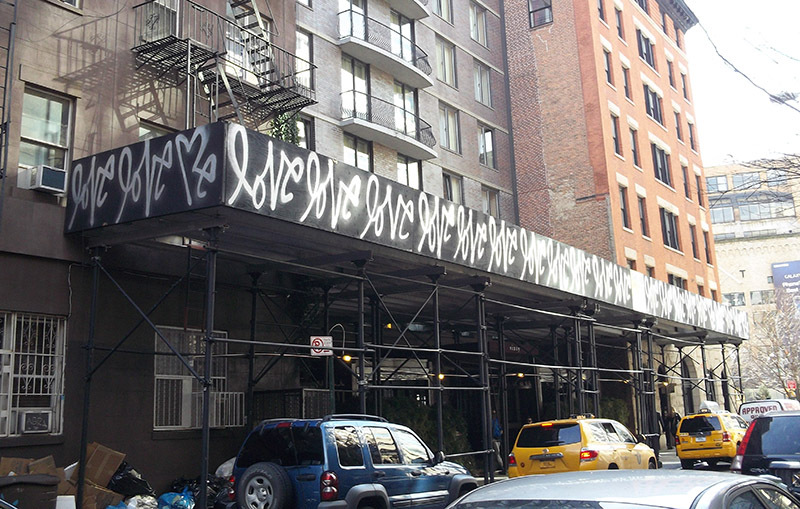 His iconic Love Me campaign swiftly went from street art to commercial, covering albums for Kanye and cosmetics campaigns and even inspiring (somewhat) the iHeartoyko logo. So it's great to pay respect to the original art of the street. It's where iHeart comes from, and it's what keeps us all inspired. LOVE.